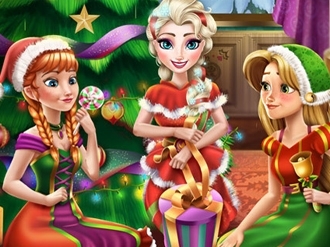 Our three princesses are hosting a pijama party in their home.You can join them at the party and help them find the perfect pijama for the event.Choose from various outfits and find the pijama that fits them best.Have fun! This summer it’s time for a fabolous look, with glowy skin and cute outfits. 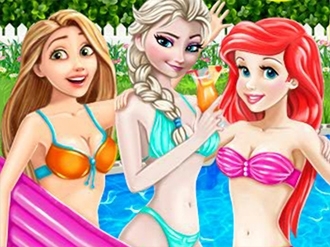 Amazing Disney princesses are going to a summer party near the pool and they have to look as pretty as possible. Lets start the preparation with choosing (outlook?) and decorations. Don’t forget about stylish hairstyles and some amazing jewelry to look perfect! It's Rapunzel's birthday! She will throw a great party tonight! All the girls are invited! Can you help the girls get ready for the party? Check out their amazing clothes and choose the best! Do their hair nicely as well! Princess Merida is the bravest girl in the world. She is braver than many men in the country. Inspired by her, most of the women in the country go for hunting in the woods. 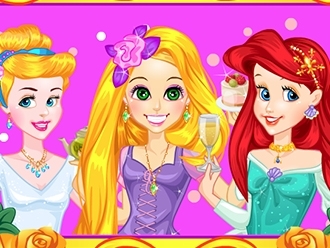 The princess usually throws party only to her friends. Now the relatives also have come to spend the summer vocation. There will be a grand party in the palace tomorrow. Clean up the messy place. It is where the party is going to take place. The servants are on leave. So the princess herself wanted to clean up the place. But her cousins want to play with her. The king and the guests would be pleased if you are charitable. We know that you are a service minded soul. The celebration will start-off in sometime. Give a spring cleaning to the pool. Place the waste where you are supposed to throw. 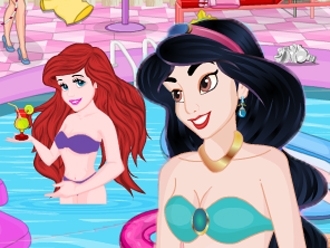 Princess Merida is very much thankful to your selfless service. Have a good time with the princess and the relatives. Something new is happening in the Disney Kingdom! 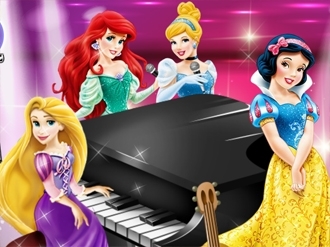 Our beloved princesses are starting a new music band. They have new microphones, a guitar and a big piano. Before they can invite you to the first concert, you need to help the princesses practice. Use your musical skills to play the piano and record your tunes. 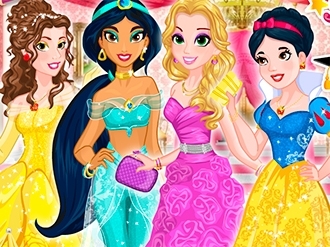 The princesses will be very happy to have you as a friend and music teacher. Have fun!